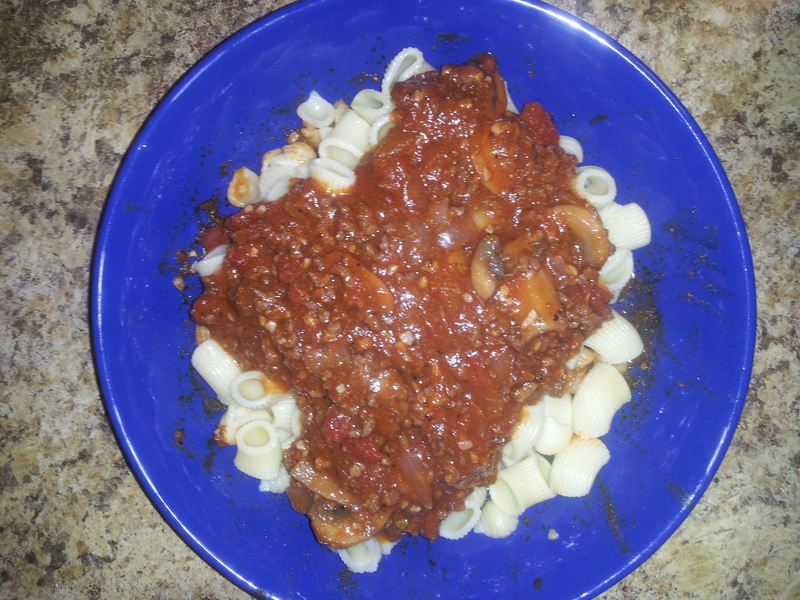 “Sweet Red” Spaghetti Sauce Review and Giveaway!! So the sauce turned out awesome!! The house smells amazing too. Seriously, I wish you could smell through your computer. Yummmm!! Using the Sweet Red was a great choice. The flavors in the wine, once cooked down go really well with the heartiness of the sauce. I won’t be using Sangria anymore…Sweet Red from now on, it is! I tried a glass too, as I was cooking, and I will definitely be buying a bottle of my own. So good!! 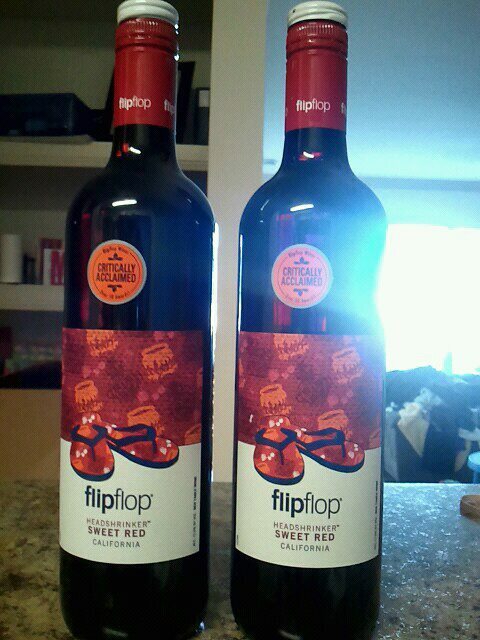 One lucky reader will have the chance to win their very own bottle of Flipflop Sweet Red!! Share this post on Facebook or Twitter 1 entry per share, can share two times a day. Remember to leave a comment including your e-mail address below. Make sure to leave one comment for EACH ENTRY. 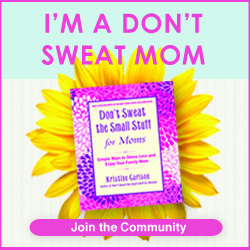 The contest will close February 12, 2012 at NOON CST. Winner will be chosen using Random.org , notified by e-mail, and announced Monday February 13, 2012. The winner has 48 hours to respond, or a new winner will be chosen. My husband loves spaghetti. Like LOVES it. His mom always made her sauce from scratch, and what is different about her recipe (and what I like the most!) she uses an entire bottle of Sangria. I was lucky enough to have Flipflop Wines send me two bottles of their Sweet Red wine. I am going to use the whole bottle(minus a glass..ya know for the cook!) in place of the Sangria. Then tonight I will post pictures and open up entry for the Giveaway!! One lucky reader will win their very own bottle of Sweet Red!! So here is the recipe, and I am getting started on my batch in about 30 minutes. That way it has plenty of time to simmer on low before the hubby gets home. 1 clove garlic (about 5 heads) smashed. You can totally adjust the garlic, depending on how much you like it. In a large sauce pot, season ground beef with salt and pepper, and brown thoroughly. 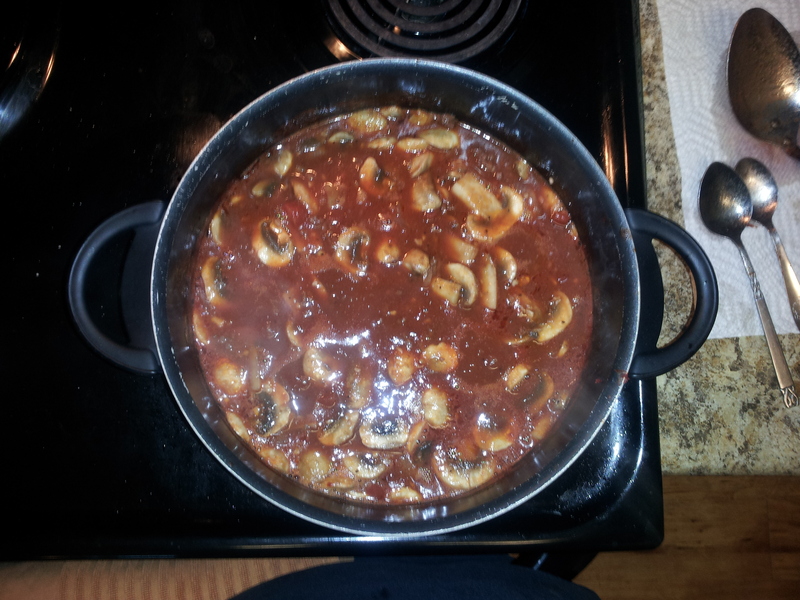 Once cooked, drain and add your can of tomato paste, crushed tomatoes, and bottle of Sweet Red wine. Mix thoroughly, and simmer for at least an hour. Checking and stirring the sauce every 20 minutes or so. I usually keep my sauce on a medium-low heat for about an hour and a half, until it reaches the thicker consistency that we like! After you have the sauce started, in a separate pan melt 1 stick of butter and saute your sliced mushrooms, crushed garlic, and diced onion. When the onions have turned opaque, add it to your sauce and stir thoroughly. The longer you let it cook, and the lower the heat, the better it will become!! I can’t wait to see how this turns out! !